Get your DVR ready because Oprah is set to interview the Heat's Big Three for her 'Oprah's Next Chapter' show. 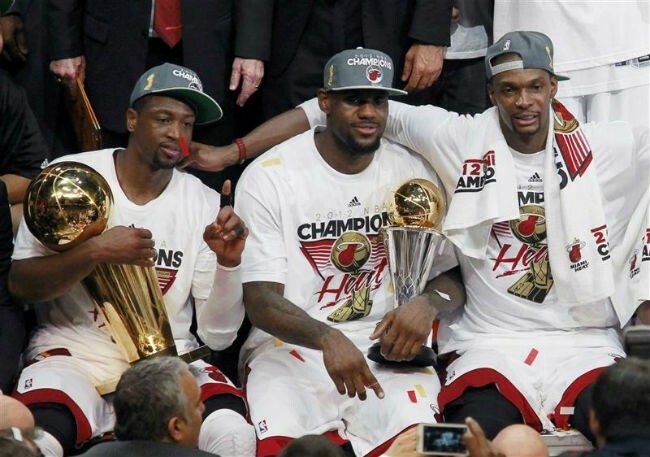 Oprah Winfrey Network announced today that Oprah Winfrey will sit down with NBA superstars of the Miami HEAT including 2012 NBA Finals MVP LeBron James, Dwyane Wade and Chris Bosh at Miami’s AmericanAirlines Arena. Winfrey will talk with the world champions about the challenges leading up to their historic win, their friendships on and off the court and the women in their lives. The episode is set to air next Sunday, July 1 at 8 p.m. ET/PT on OWN: Oprah Winfrey Network.